18" x 24". Oil on canvas. 1950's Chevy's are the quintessential antique truck. 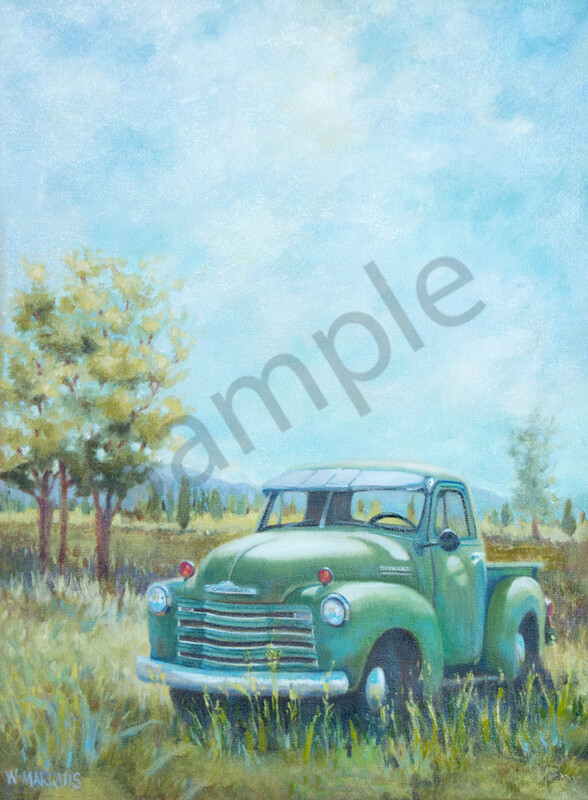 I moved this Chevy from the back of an old barn to a gorgeous field of green grass with Cottonwood trees in the background.The original piece was chosen to be in the Heart of the West Fine Art auction in Coeur D'Alene on September 3rd, 2016.